On December 5, Mexico City’s mayor, Marcelo Ebrard, will hand over the reins of office to his former attorney general and fellow Party of the Democratic Revolution (PRD) leader, Miguel Mancera. In a testament to Ebrard’s popularity as mayor, Mancera easily won the recent election, with 63 percent of the vote, running on a platform which largely pledged to continue Ebrard’s policies . To be a successful mayor, Mancera will need to maintain the level of energy and commitment that his predecessor had brought to the position. As Mancera assumes office, he would do well to reflect on Ebrard’s tenure as mayor and the popularity of the policies he implemented. Under Ebrard, Mexico City became cleaner, safer, and more environmentally friendly. Ebrard, a down-to-earth and outgoing figure, had a fruitful career before he became mayor of Mexico City. His résumé includes coordinating disaster relief after the 1985 Mexico City earthquake, working on the city’s environmental stewardship program, leading cease-fire talks with the Zapatista movement in 1994, and serving as the city’s Internal Affairs, Public Security, and Social Inclusion Secretaries . After being affiliated with several political parties, he eventually settled on the left-leaning PRD as his vehicle to carry him into higher office. By the time he ran for mayor in 2006, the combination of his public service record and the capital’s established preference for PRD candidates allowed Ebrard to win twice as many votes as the other candidates combined . Having spent many years involved in the inner workings of Mexico City, Ebrard easily transitioned into the mayorship. During his time in office, Ebrard planned and oversaw many changes to the cityscape. The development of attractive public spaces was a priority for Ebrard, since he recognized that the poor could not afford other entertainment options. Ebrard arranged the installation of multiple public beaches, even though Mexico City is a landlocked city . These artificially created beaches, nestled in the middle of the urban landscape, became immensely popular and attracted the rich and the poor alike. Additionally, Mexico City is now home to one of the world’s largest holiday ice-skating rinks, located in the middle of the city’s historic district. The beating back of crime was a major success for Ebrard during his stint as Public Security Secretary and his six years as mayor. Mexico City has been less hectored by drug-related violence than the rest of the country, with murder rates at half the national level of 18 per 100,000 residents . The increased safety of Mexico City should be partially accredited to Ebrard’s extensive surveillance program. The program added 8,000 surveillance cameras to the city’s previous 5,000 and opened up an intelligence center to monitor the entire network . Increased security is only part of the solution; according to Ebrard, providing financial assistance to keep low-income students in school and off the streets is just as helpful in decreasing crime rates as improved police capabilities . Throughout his time in office, Ebrard robustly supported numerous environmental initiatives. Mexico City was long known as one of the most polluted places on earth, but initiative taken by Ebrard has shaken the stereotype. During the last 15 years of PRD control the presence of lead, suspended particles, carbon monoxide, and ozone in Mexico City has decreased . As a result of Ebrard’s Green Plan, Mexico City reduced its greenhouse gas emissions by 7.7 million metric tons between 2008 and 2012 . The Green Plan included environmentally friendly policies such as the expansion of the Metrobus system by 350 percent, the creation of a bike-sharing program called Ecobici, and the closing of major solid waste facilities . In 2009, Ebrard was elected to be the Chairman of the World Mayors Council on Climate Change, and in 2010, he held the World Mayors Summit on Climate Change . The summit resulted in the Global Cities Covenant on Climate, or the Mexico City Pact. More than 250 cities in 57 countries have signed the pledge to reduce their greenhouse gas emissions and set up climate change mitigation and adaption strategies . Today, Mexico City is seen as a model of environmental sustainability in developing countries. Ebrard began his mayoral position with ambitious plans for the city, and for the most part, he succeeded. There have been a few contentious projects, including a neighborhood-displacing superhighway, defacing rail construction in the historic city center, and a suspended stadium project, but overall, Ebrard’s improvement of public spaces, reduction of crime, and promotion of sustainability are all commendable . The city still is not perfect, but based on the recent election of Ebrard’s colleague Marcera, voters are confident in the PRD’s ability to lead Mexico City in the right direction. With the residents of Mexico City on his side, Ebrard has turned his gaze toward the presidency. All signs were pointed at a 2012 presidential run for Ebrard, but he was narrowly edged out by Andrés Manuel López Obrador in a PRD primary poll. 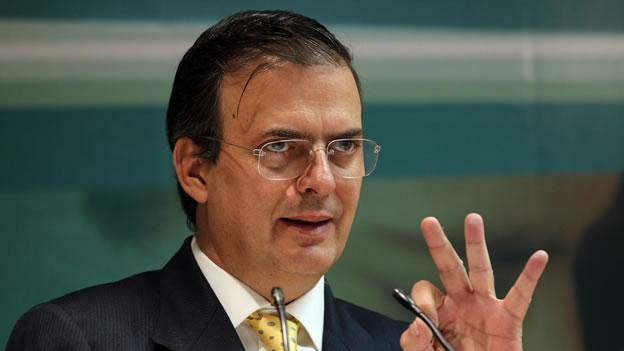 Disappointed fans of Ebrard believe that he would have had a better chance of beating Enrique Peña Nieto than Obrador , who lost by 31.6 percent to Peña Nieto’s 38.2 percent. Now that Obrador has announced his intention to split off and form a new party, the stage is set for Ebrard to take the lead of the PRD and make a presidential run in 2018. To mount a successful campaign, he will need to prove to the Mexican people that his achievements in Mexico City can effectively translate to the country as a whole. Wall, Allan. “The Newly Elected Mayor of Busy Mexico City will take office in December.” Mexidata.info. August 20, 2012. http://mexidata.info/id3426.html. “About Mexico City Mayor Marcelo Ebrard.” Mexico City Experience. Accessed September 12, 2012. http://www.mexicocityexperience.com/about_the_mayor. Roig-Franzia. “A Freewheeling Mayor.” The Washington Post. September 1, 2008. http://www.washingtonpost.com/wp-dyn/content/article/2008/08/31/AR2008083102293.html. Shoichet, Catherine E. “Is Mexico City Safe from Drug Cartel War—or the Next Target?” CNN.com. January 17, 2012. http://www.cnn.com/2012/01/17/world/americas/mexico-city-security/index.html. Hernandez, Daniel. “Mexico City Opens Massive Public-Surveillance Center.” The Los Angeles Times: World Now. October 26, 2011. http://latimesblogs.latimes.com/world_now/2011/10/mexico-city-security-intelligence-emergency-center-c4i4-ebrard.html. Cruz, Leticia Paula. “Ebrard Advocates Safer Cities.” The News. September 5, 2012. http://www.thenews.com.mx/index.php/mexico-articulos/712-ebrard-advocates-safer-cities. “Reduce Programa de Acción Climática 7.7 millones de toneladas de CO2.” Cronica.com.mx. August 28, 2012. http://www.cronica.com.mx/nota.php?id_nota=686479. “Gobierno del Distrito Federal; Mexico City Reduces GHG Emissions by 5.7 Million Metric Tonnes.” Energy & Ecology Business. August 12, 2011. “The Chair—Marcelo Ebrard, Mayor of Mexico City. World Mayors Council on Climate Change. Accessed September 12, 2012. http://www.worldmayorscouncil.org/about/leadership.html. “Signatories.” The Mexico City Pact: Global Cities Covenant on Climate. July, 2012. http://www.mexicocitypact.org/en/the-mexico-city-pact-2/list-of-cities/. Pantoja, Sara. “Alcalde Activo, Pero Pierde la Nominación.” El Universal DF. December 26, 2011. http://www.eluniversaldf.mx/cuauhtemoc/nota40244.html. Agence France-Presse. “Mexico’s Left Splits Amicably…For Now.” France 24. September 11, 2012. http://www.france24.com/en/20120911-mexicos-left-splits-amicably-now. 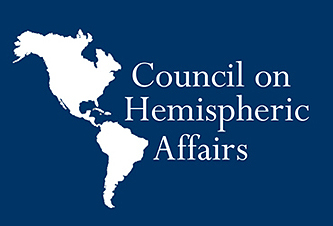 ← Costa Rica’s Cybercrime Law—Censorship Or A Reasonable Law?